Video: Wilson Center: Pirates, Islam, and U.S. Hostage Policy. 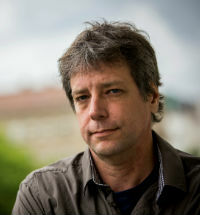 Michael Scott Moore is a novelist and journalist who has written about politics and travel for major publications such as Atlantic, Slate, Spiegel online, Miller-McCune magazine, Business Week, and the Financial Times. After covering a Somali pirate trial in 2012, Moore traveled to the Horn of Africa to write about piracy and ways to end it. In a terrible twist of fate, Moore himself was kidnapped subsequently held captive by Somali pirates for two and a half years. In his most recent book, The Desert and the Sea (Harper Wave), Moore incorporates personal narrative and rigorous investigative journalism in this profound and revelatory memoir of his three-year captivity by Somali pirates—a riveting, thoughtful, and emotionally resonant exploration of foreign policy, religious extremism, and the costs of survival. Moore’s own struggle is only part of the story: The Desert and the Sea falls at the intersection of reportage, memoir, and history. Caught between Muslim pirates, the looming threat of Al-Shabaab, and the rise of ISIS, Moore observes the worlds that surrounded him—the economics and history of piracy; the effects of post-colonialism; the politics of hostage negotiation and ransom; while also conjuring the various faces of Islam—and places his ordeal in the context of the larger political and historical issues. Through thoughtful, gripping talks Moore shares his ordeal as a hostage of Somali pirates. He explores piracy and captivity, while sharing insights on the power of resilience, as well as the survival and recovery process from trauma. Throughout his journalism career, Moore has covered the European migration crisis for Businessweek, and politics, travel, and literature for The Atlantic, Der Spiegel, The New Republic, The New York Times, and The L.A. Review of Books. Moore currently lives in Los Angeles, California. 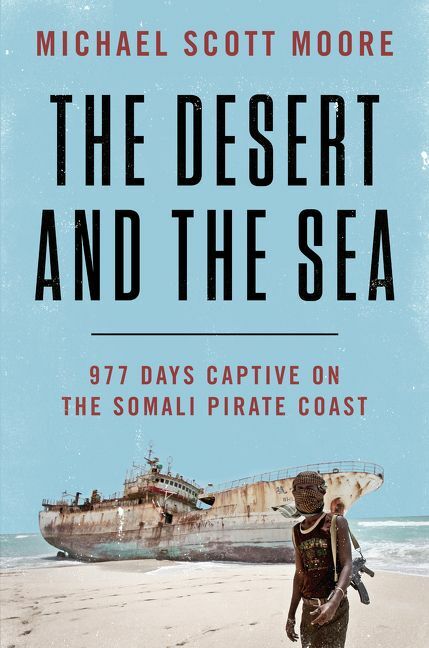 "We felt very lucky to have the opportunity to bring Michael Scott Moore to our community to speak about his capture, long ordeal in captivity and subsequent release from Somali pirates, and to be able to purchase his memoir, "The Desert and the Sea" after his talk. Michael was extremely forthcoming, articulate, self-deprecating and unabashedly honest. He was a delight to work with, and I doubt that many in the audience will forget that evening -- or Michael -- for a long time to come."